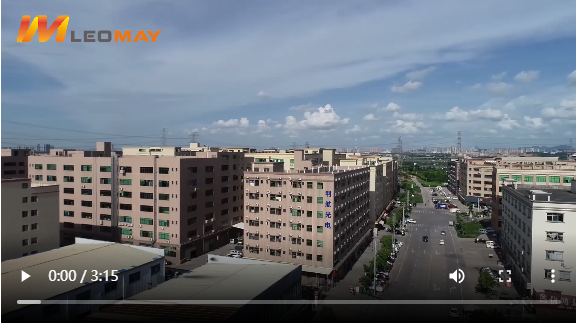 Established in 2011, Leomay Technology Company is a high-tech enterprise and certified by UL and SGS, which is engaged in researching, manufacturing and selling new LED lighting products. Now Leomay products mainly cover LED Strip Light, LED Rope Light, LED Linear Light, LED Panel Light, LED Flood Light, LED Tube, LED Bulbs, LED Wall Washer etc. All of them are certified by CE, EMC, LVD, RoHS, FCC, some of products are UL, Energy Start, ERP compliant. Meanwhile, Leomay has advanced LED luminaire manufacturing and test facilities such as Imported Panasonic Auto Soldering and SMD Machines, Programmable Constant Temp and Humidity Testing Machine, IP65 and IP68 Waterproof Production Lines, High and Low Temperature Test Chamber, Optical Testing Devices such as Everfine Integrating Spheres and Distribution Photometer. Leomay will and always insists on the principle of ' Provide High Quality LED Light and Professional Service for All Customers', especially 3 years OEM service, we not only have lots of self-designed and private items, but also offer customized products, such as customers logo, packing, CRI 90 or CRI95, LM80 etc., which all completely follow CE, RoHS, EMC and UL standards. Leomay products are highly recognized and sold very well more that 30 countries and regions, such as Germany, Austria, Swiss, Italy, Hungary, Slovakia, Croatia, Slovakia, Slovenia, Finland, Denmark, Spain, UK, Russia, Canada, US, Costa Rica, Brazil, Argentina, Singapore, Hong Kong, Taiwan etc. As a well-known LED lighting manufacturer, we will keep improving our products quality and service for all of our valued customers.